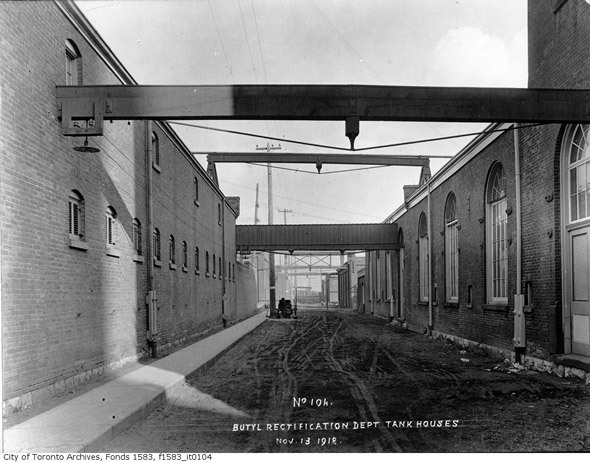 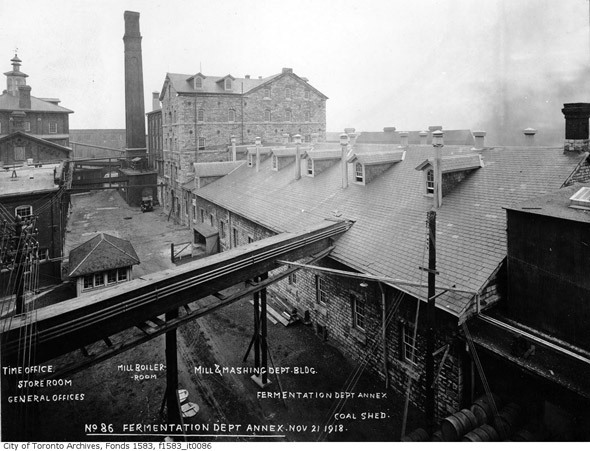 The Toronto Archives, Wikimedia Commons, and Distillery Heritage. 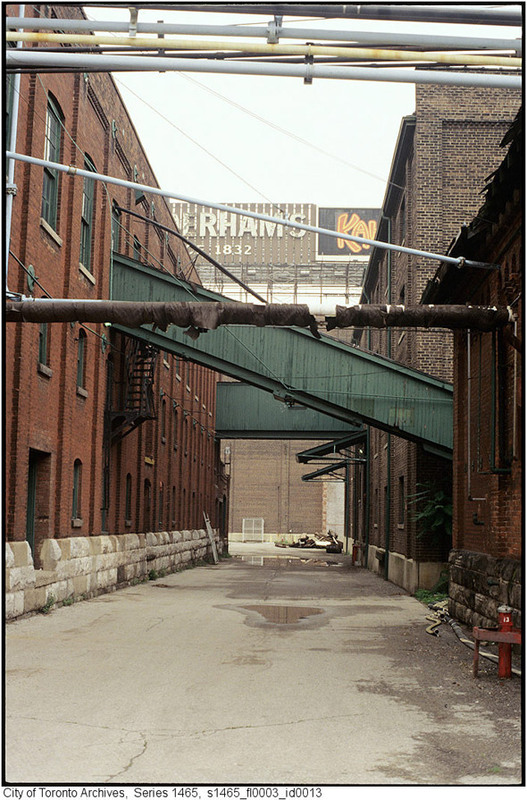 With files from Derek Flack. 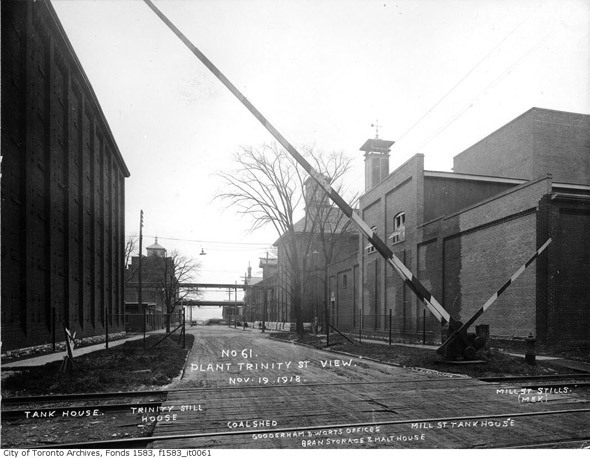 The Distillery District was not always a collection of boutique shops, galleries and other touristy attractions. 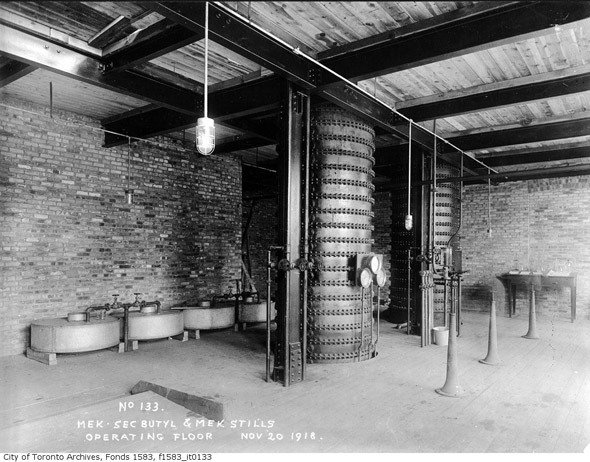 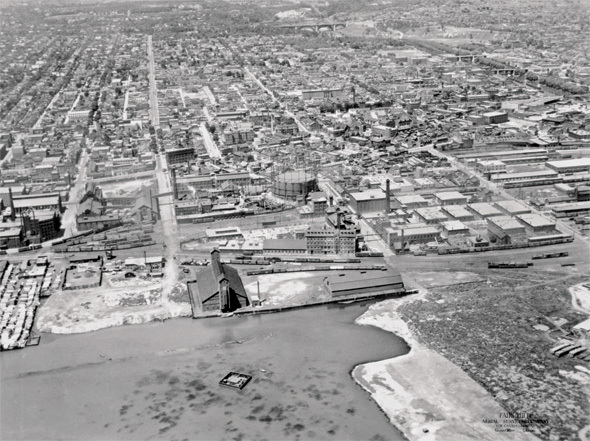 Most everyone knows the district once did as its name implies: it was home to a distillery. 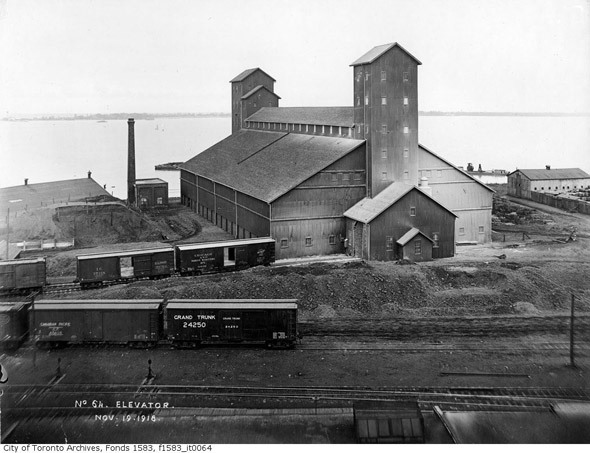 What's less commonly known is that during prohibition in Ontario, which started in 1916, the plant was given to the government to produce ingredients key to explosives of the day (like smokeless gunpowder). 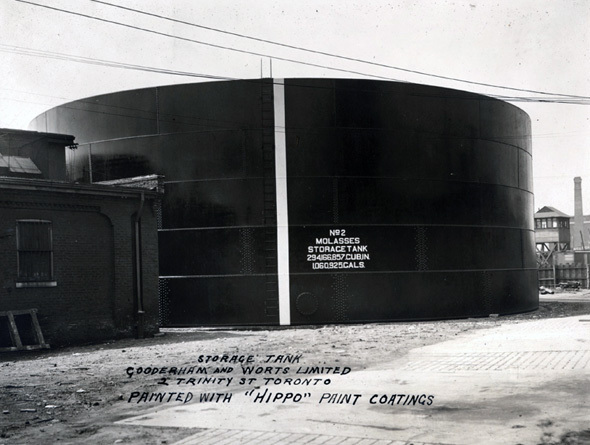 Operated by British Acetones, the plant manufactured roughly 1000 tonnes of acetone in the final years of the war. 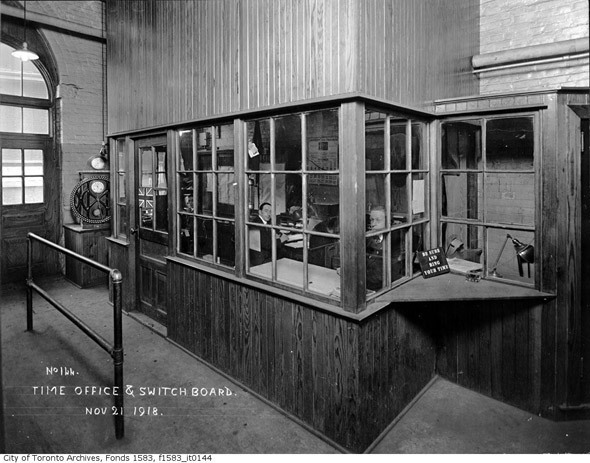 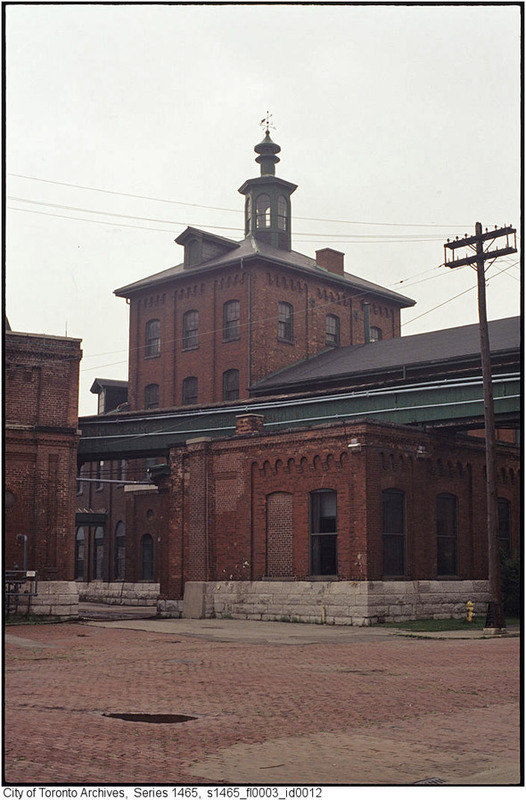 Eventually it would return to operate as a distillery, and was sold by the Gooderham family to Harry C. Hatch and associates in 1926. 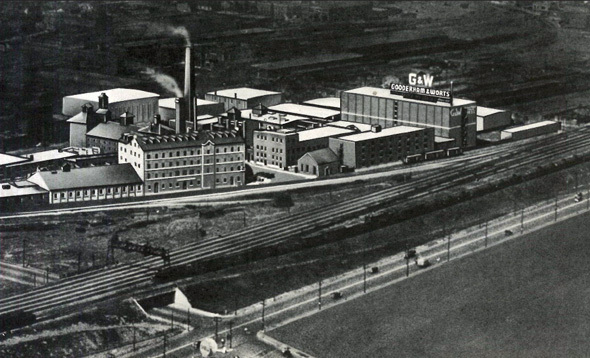 Just a year later, that company went on to acquire Hiram Walker's, who would continue to run the distillery until the late 1980s when it was sold to Allied Vintners. 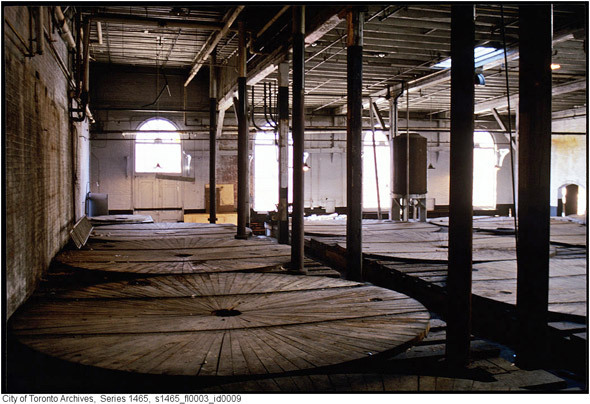 Shortly after the sale, the distillery ceased operations and was left unoccupied for the majority of the 1990s. 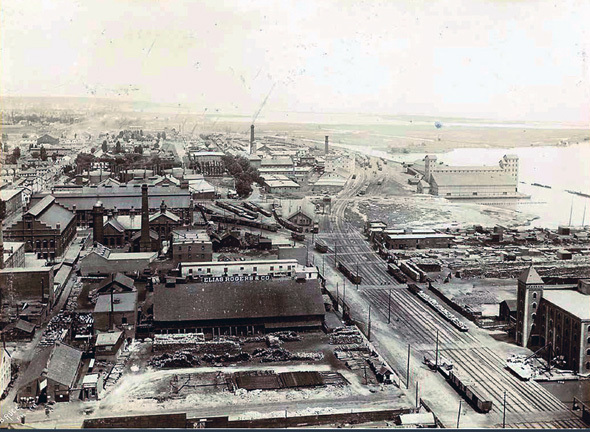 And then, thankfully, in 2001 Cityscape Holdings purchased the site with an eye toward transforming it into the destination that it has become today. 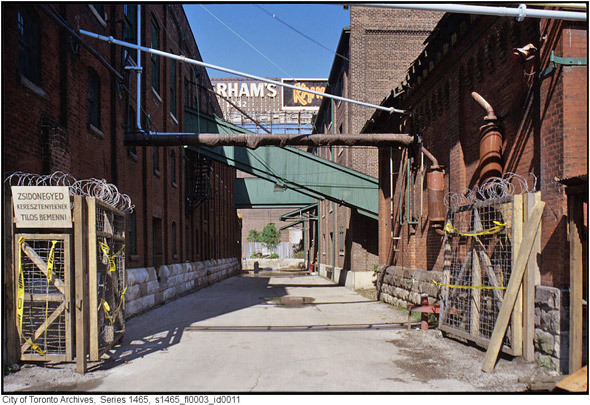 Here's what the Distillery District used to look like.